QPR and ex-Manchester United defender Rio Ferdinand's autobiography is being serialised in the Sun this week and he gives his verdict on part of the reason why David Moyes struggled as manager at Old Trafford. On the back of Ferdinand's revelations, we look at some of the other notable quotes from sporting autobiographies. 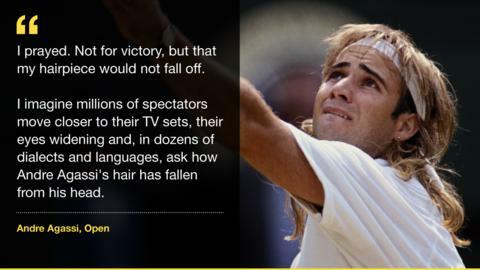 Andre Agassi was famed for his long locks during his early career but he was more worried about his toupee than his opponent before the 1990 French Open final. He lost to Andres Gomez. 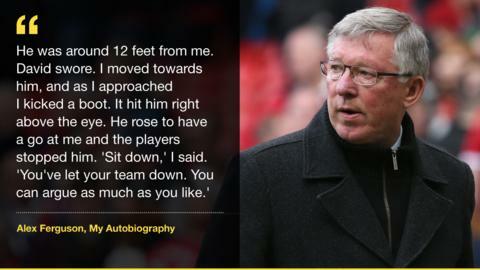 Former Manchester United manager Sir Alex Ferguson on his falling-out with midfielder David Beckham following a FA Cup fifth-round defeat by Arsenal in 2003. 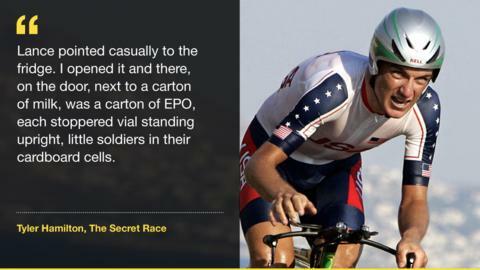 Cyclist Tyler Hamilton reveals an insight into the world of former team-mate and disgraced seven-time Tour de France winner Lance Armstrong's doping. 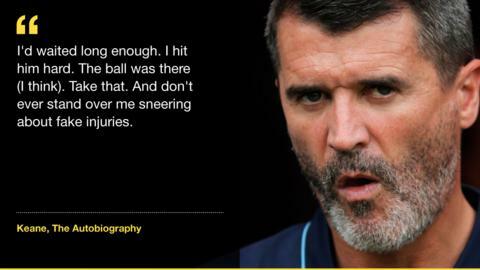 Roy Keane on tackling Manchester City's Alf-Inge Haaland in 2001. Four years earlier, Keane suffered a serious knee injury when tackling Leeds midfielder Haaland, who stood over him and allegedly accused him of faking an injury. The former world heavyweight boxing champion reveals his novel way of passing a drugs test. Ashley Cole reacts to Arsenal's offer of a new contract after being informed by his agent. He later left to join Chelsea and was nicknamed "Cashley " by the Gunners faithful. 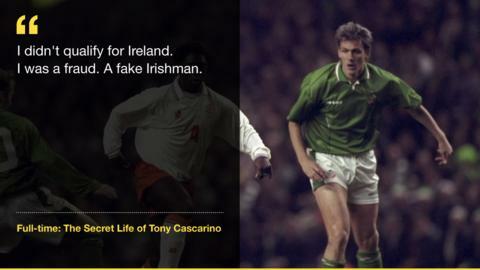 Tony Cascarino won 88 caps for the Republic of Ireland and played at two World Cups but revealed in his autobiography that he did not qualify to play for the country. Sweden striker Zlatan Ibrahimovic gives an insight into his dysfunctional relationship with manager Pep Guardiola during their time together at Barcelona. 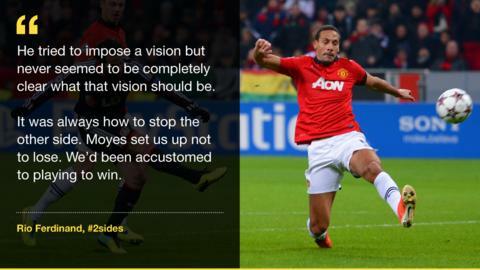 Former England defender Gary Neville on the secret tactic of manager Glenn Hoddle during a World Cup game. 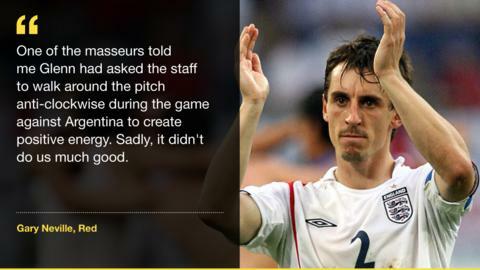 England lost 4-3 on penalties after extra-time.